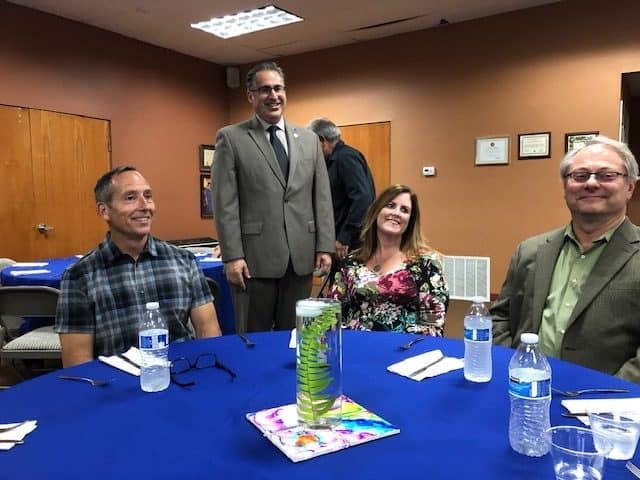 Friday, September 28, 2018, a very special man was honored for the evening in the Paul Eckert Room at the Vista Boys & Girls Club. 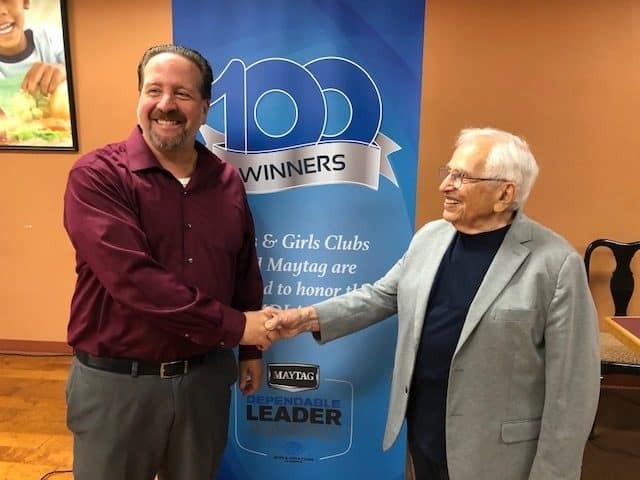 George Tsoris, Volunteer and Poetry Club instructor, was recognized as a Maytag Dependable Leader for his dedicated service to the children who attend the Boys & Girls Club of Vista. The room was full of friends, family and children of the Boys & Girls Club of Vista who were tutored by George. 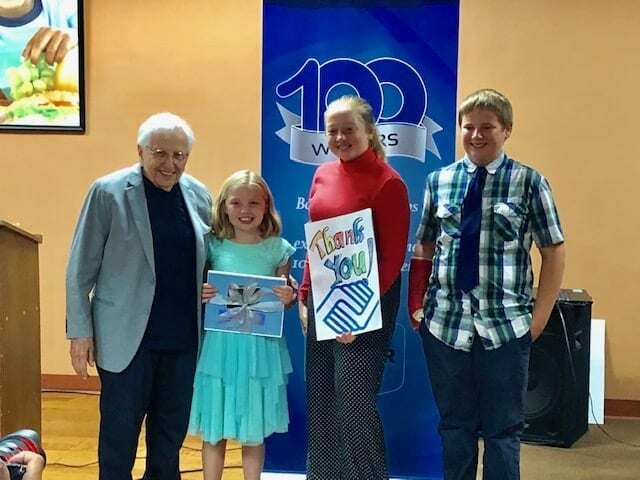 Deputy Mayor John Aguilera and a Thank You card and Memory book, which was signed by all the students who he taught poetry to. He is now 90 years old. 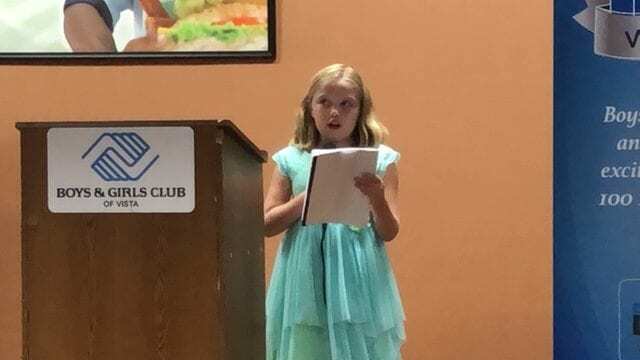 Three students, Jade McCurry, Kelly McKinley and Grace Koumaras shared with the guests how they were inspired to love poetry by George through instruction at the club. 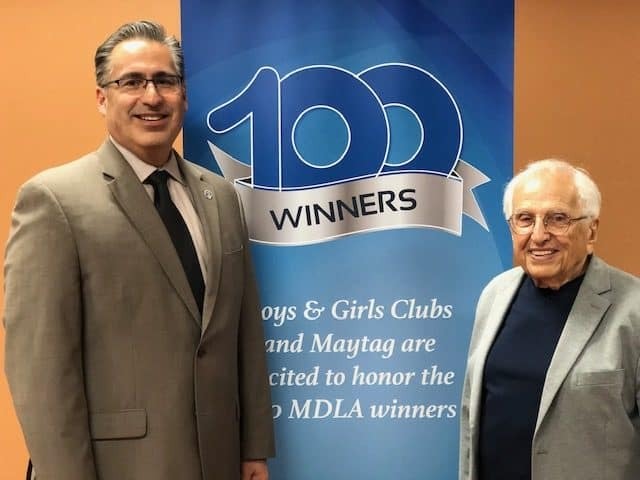 Matt Koumaras, CEO of the Boys & Girls Club of Vista, then as a part of the award, presented a $20,000 check donation which will be made to the Boys & Girls Club of Vista by Maytag in George’s name. Congratulations George! 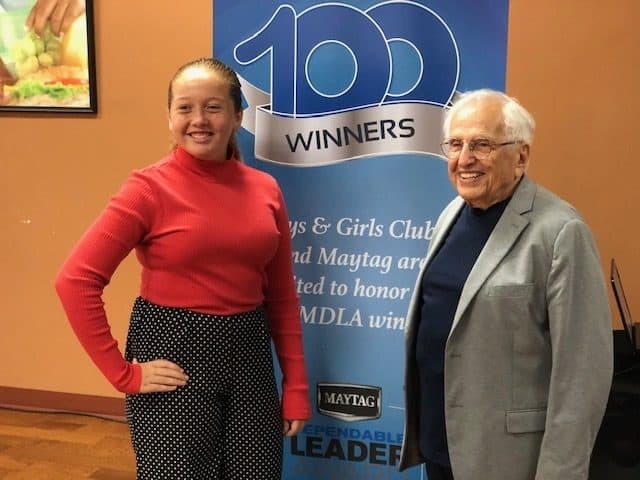 George Tsoris, of Oceanside, Calif., has been named a 2018 Maytag Dependable Leader Award winner for his demonstrated dedication to keeping youth on the path to achieve great futures. 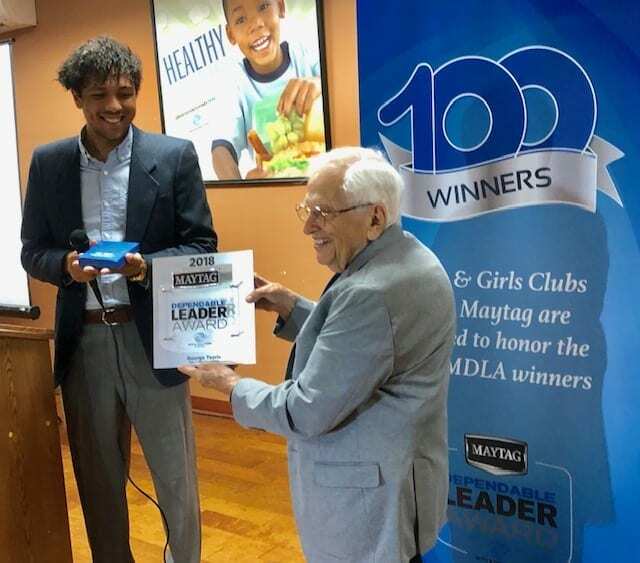 The award recognizes Boys & Girls Club staff and volunteers who are committed to making a difference as dependable and exceptional role models. 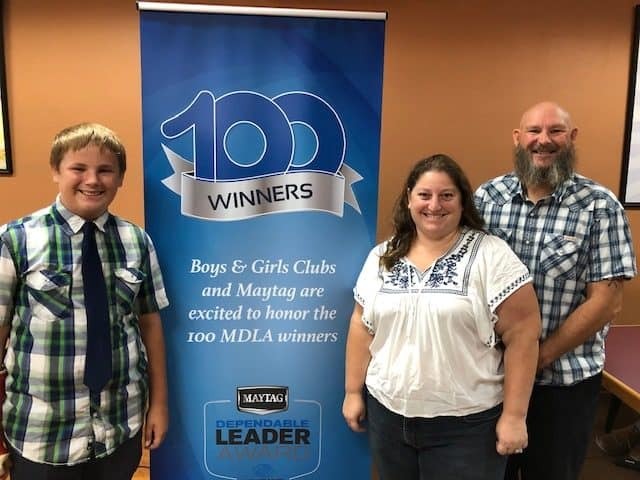 Through a national partnership, Maytag brand and Boys & Girls Clubs of America (BGCA) selected Tsoris as one of only two winners nationwide to receive this year’s distinction, which includes a $20,000 financial grant for Boys & Girls Club of Vista. 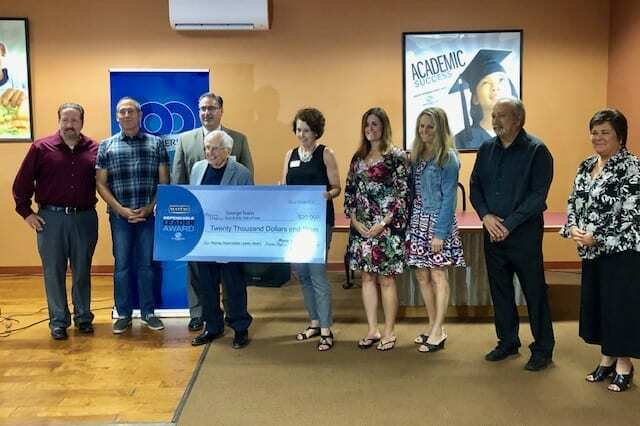 The grant will be used for scholarships that will aid in career development support for Club members. Tsoris was nominated for the award by Matt Koumaras, CEO of Boys & Girls Club of Vista. Tsoris’ story began as a Club kid in Milwaukee, Wisc. 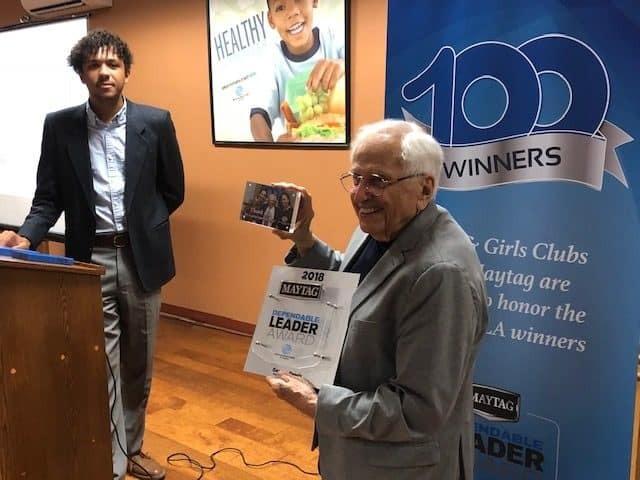 before coming full circle in retirement when he began volunteering at Boys & Girls Club of Vista after recognizing a need for youth to have access to more positive role models. 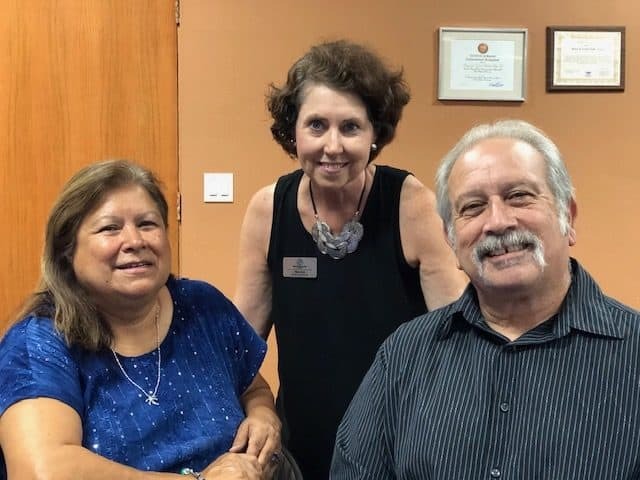 In his role, Tsoris leads a poetry group for members of all ages and backgrounds that serves as an inspiring beginning toward a passion for literacy and writing. A key lesson Tsoris aims to instill within members of Boys & Girls Club of Vista is a confidence to express themselves. Through interesting writing assignments and storytelling, Tsoris teaches the community’s young people to never shy away from being true to themselves and sharing their feelings. Tsoris continues to be a reliable figure for Vista youth and at 90 years old has never missed a day of poetry group. 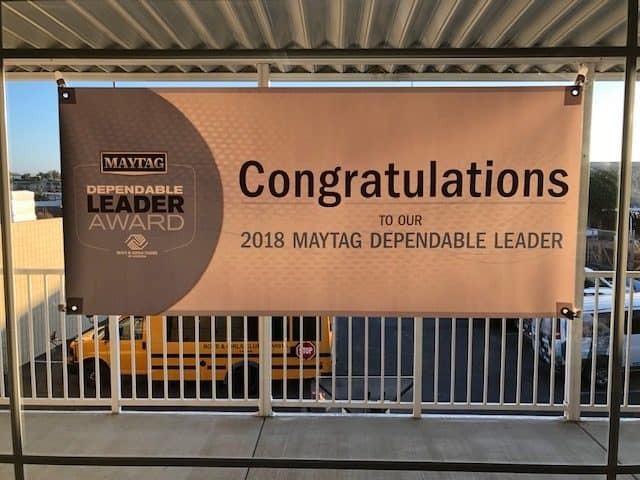 With a heritage of dependability dating back more than 100 years, the Maytag brand mission is to build high-performing and dependable products. Boys & Girls Clubs dependably serve youth, enabling them to reach their full potential as high-performing adults. 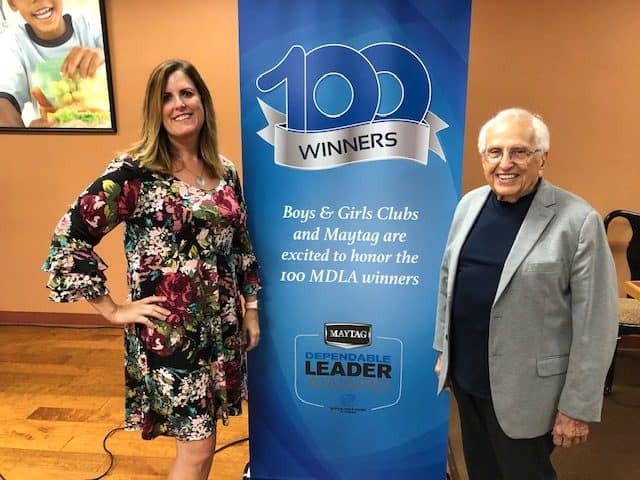 The partnership between Maytag and BGCA seeks to recognize and promote dependability – a quality that is at the core of what the Clubs do every day and is central to Maytag brand. 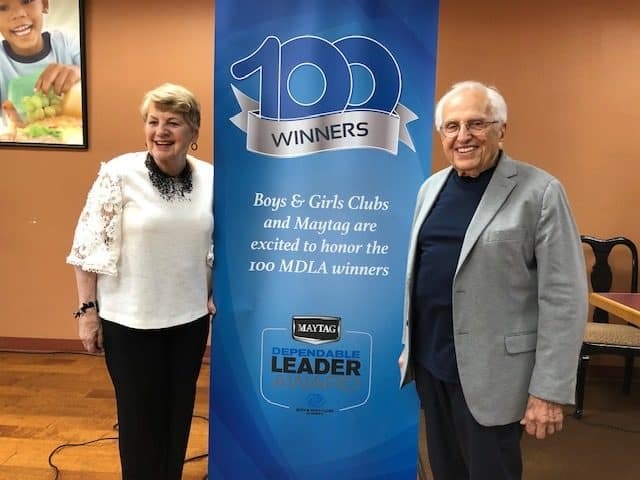 Through its partnership with BGCA, Maytag has donated more than five million dollars to local Clubs in the last seven years. For more than a century, Maytag brand appliances have been synonymous with dependability and durability. Through the commitment of Whirlpool Corporation, Maytag brand’s enduring tradition of quality production and powerful performance continues to thrive. Exceptionally durable, commercial-grade components are found in many Maytag brand appliances – including Maytag® front-load and top-load washers and dryers, featuring the PowerWash® Cycle, as well as Maytag® dishwashers with the PowerBlast® Cycle. 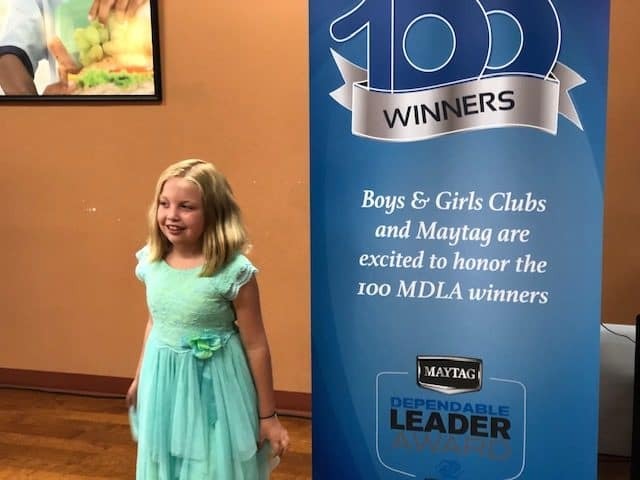 Maytag is also a reliable partner to the Boys & Girls Clubs of America in their effort to support communities across America and help young people achieve great futures. Maytag brand is part of Whirlpool Corporation, the world’s leading global manufacturer of home appliances, with annual sales of approximately $21 billion in 2017, 92,000 employees, and 70 manufacturing and technology research centers around the world. For more information on Maytag, please visit Maytag.com at @MaytagBrand or @TheMaytagMan. Additional information about the company can be found at Whirlpoolcorp.com. Since 1963, Boys & Girls Club of Vista has been inspiring and enabling all boys and girls, but especially those that need us the most, to reach their full potential as responsible, productive, and caring citizens. The organization is committed to helping children of all backgrounds and interests emerge into successful, well-rounded young adults and serves as a safe and fun place with programs focusing on character development, academic success and healthy lifestyles. 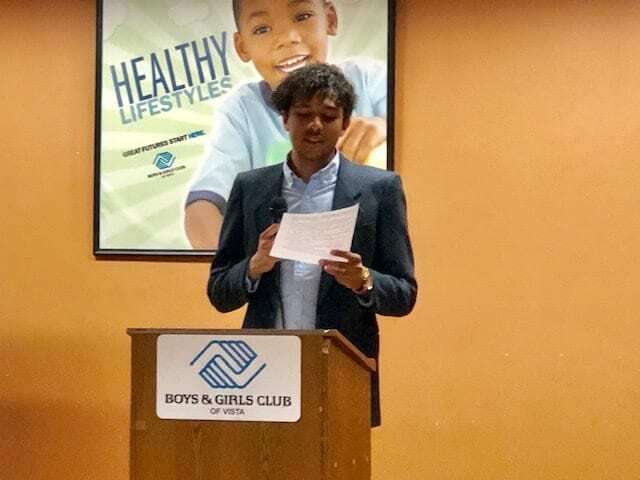 Boys & Girls Club is Vista is open weekdays after school (Monday through Friday), as well as during school breaks, and has trained staff of youth development professionals, providing positive role models and mentors supplemented by caring community volunteers. For more information visit, www.bgcvista.org.